Gracing the top of the Wealth Professional Top 50 Advisors list in 2018 was a great honour for Chad Larson, portfolio manager and senior vice president of MLD Wealth Management in Calgary, part of Canaccord Genuity. The recognition not only provided validation for Larson but also helped in his ability to grow his business. The recognition has benefited Larson on numerous fronts. Not only has it provided a validation to the firm itself, but also to their existing clients. With the volatility in the markets this year, Larson says it was reassuring for his clients to know that their advisor was on top of the situation. “In the late stages of an economic cycle, we are always climbing that wall of worry. We saw a correction coming and did the best to hedge against it and protect assets in our client portfolios,” said Larson. Topping WP’s Top 50 list also helped Larson and his firm bring in new clients. “The visibility that I and my team received translated into phenomenal client retention, asset gathering, and revenue generation,” added Larson. For the sixth consecutive year, Wealth Professional will rank the Top 50 individuals based on AUM, AUM growth and number of new clients introduced to the business during the 2018 fiscal year. 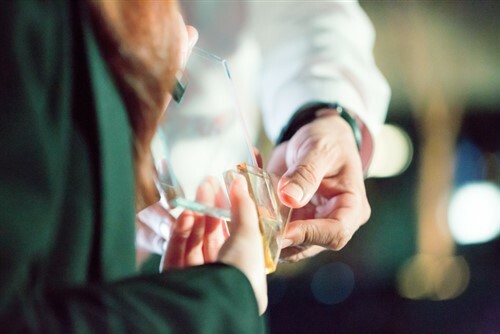 Advisors are encouraged to fill out this nomination form to see if they are one of the Top 50 Advisors of 2019. If Larson’s experience is any indication, earning the recognition can be quite the boost for any business. Results will be published in the January 2019 issue of Wealth Professional magazine.